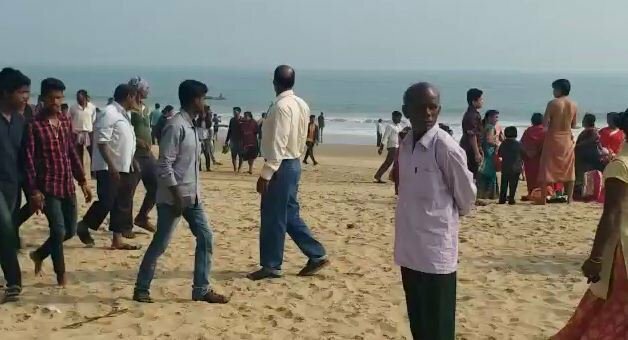 Bhubaneswar: Two students today drowned and another went missing while taking bath in sea near Pir Jahania under Astarang police station in Puri district today. The deceased were identified as Abinash Pradhan and Amit Pradhan. According to sources a group of students of city-based Silicon private engineering college had gone for a picnic to Pir Jahania today. At least four students entered the sea to take a bath. While taking bath in the sea, they got swept away with tides. Locals present on the spot managed to rescue three students while another student is still missing. Of the three rescued, two died and another other is still critical. They were admitted to hospital. Efforts were on by police and locals to trace the missing youth.